It's almost March and it's still freezing. Surprise, surprise. I've found my new winter survival item though: leather pants. Even windbreakers don't protect against the wind as good as leather does. The thing about cold weather is that you can always bundle up in more sweaters and heavy coats, but you can only wear so many layers of bottoms. And I don't know about you, but I find that wearing leggings under jeans is terribly uncomfortable and bulky. I tend to like the ability for my knees to bend. Ooh what a great idea - leather pants to keep warm! You're absolutely right, it's so hard to layer your bottoms (I've been wearing tights, not leggings, under my jeans and it helps a bit). Looks chic with all the basic colours. The background seems mysterious and somber. What an unique look! I really like your look (and wish that I could pull off leather pants). That purse of yours is so cute too. It reminds me of something Mulberry has done. You look comfy and chic. I love the crop top! Those pants are incredible! Your style is completely perfect. I love this outfit, it suits you so perfectly!. I love how you paired those leather pants with the crop top! Leather and cropped tops are my fav trends right now and I love how you made it work even in this cold weather :) That bag is adorable too! 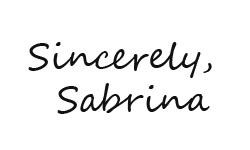 Thank you for leaving such a kind comment on my blog Sabrina! You have a beautiful blog! I'll gladly follow you from Finland! It's strange, how we usually have the same weather here up North as you do in Canada, but this year it's so different. It is crazy how it is still so cold. I love how you have styled that crop top. You look amazing. Thank you for the sweet comments on my blog. This is a really chic look on you! Love it! Love the leather jogger pants! Perfection. Very nice outfit! Love your shoes! Thank you for your sweet comment! looking gorgeous dear.x I absolutely love your outfit, gorgeous pants and crop top! Need to buy a pair of leather pants as well, such a statement and versatile piece! Oh, I totally agree with you, wearing leggings under jeans is so uncomfortable.x Thank you so much for stopping by my blog and for your lovely comment! Have a lovely week! It's still cold here too but we've gotten some warm days too thank goodness. Ohhh I love those leather pants! I have fake leather leggings but they don't keep me as warm as what your wearing! Love this outfit and the color pallet is stunning. I want! ;D Thanks for sharing! Hope the weather warms up for you soon! Nice leather pants. Perfect for the cold weather. Very stylish outfit. great look! love your hat so much! Great outfit love the beanie. Thank you for visiting my blog. amazing outfit and i love the combination of pieces you put together<3 they all work perfectly well with one another! Thanks for the visit. Yes I'm Ontario and the cold was no fun...llol Are from Ontario? Thanks for stopping by my blog! I love hear from my readers. Your beanie is really cute, too and I love the sweater. Hi Sabrina, thank you for your lovely comment on my blog, So What to Twenty. Now I know about your blog! You look superbly styled. I admire a person who still looks chic in cold weather.